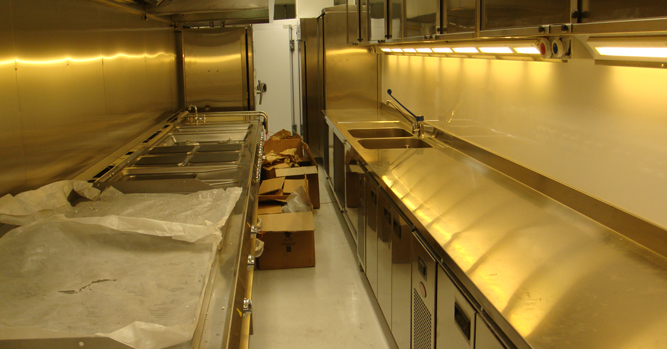 FTTC’s mobile kitchen van is an innovation in the kitchen services industry designed to operate and serve in areas where a conventional cooking setup is not possible. The hydraulic leveling for the stability, hydraulic step rail system, strapped down work surfaces and the self-contained electrical and plumbing units enable full scale utilization running safely and independently. These vans can travel from business to business or to central locations like corporate and social camp sites, nature meets, off-site gatherings, at all, to act like a luncheonette on wheels. 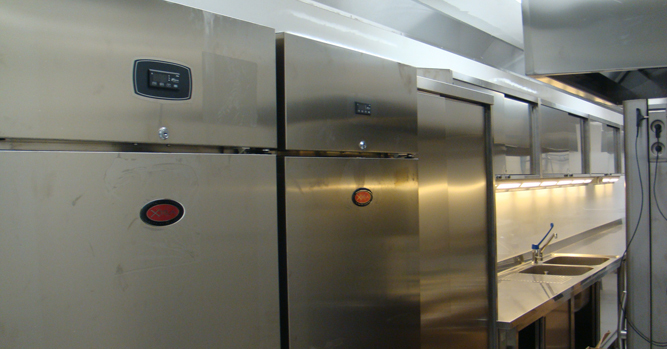 It provides a complete commercial grade kitchen setup with the inclusion of refrigeration and storage. 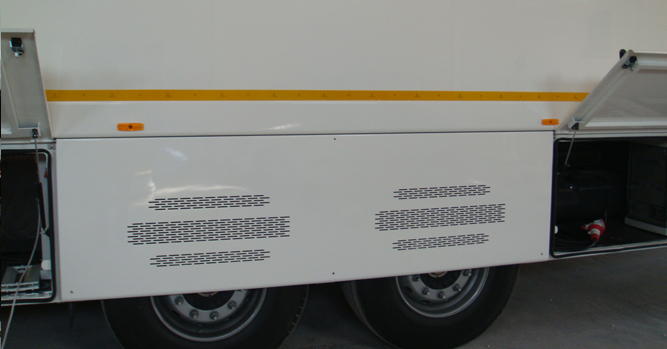 This well designed\ step-van is completely self-contained and able to operate under its own power. Chassis Running Gear with SAF Tandem 11-ton air suspension axles fitted with Continental HTC Super Single Wheels and Tyres; complete with air park, shunt valves and Grau EBS system 2 line air system and 2” fifth wheel kingpin. 15 meters x 4.16 meters x 3 meters body with sides formed from 60mm composite glass and reinforced plastic, bonded with WBP plywood and polyurethane foam with integral surround frame. 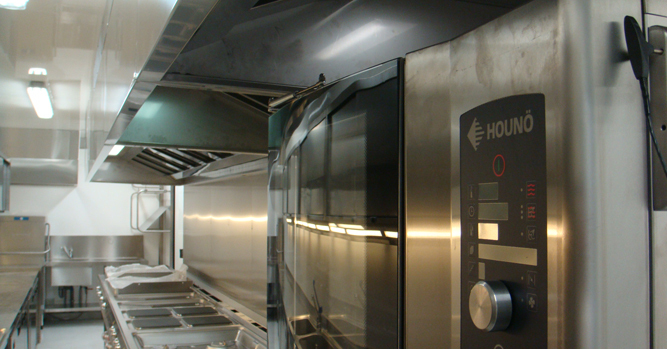 Stainless steel clad rear-wall behind appliances. 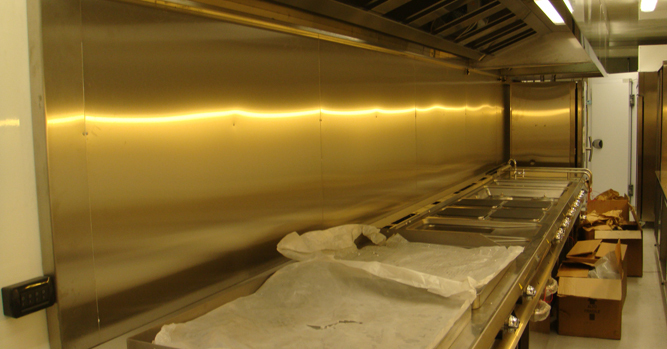 All internal body finishes are white fiberglass and aluminum wipe-clean surfaces. 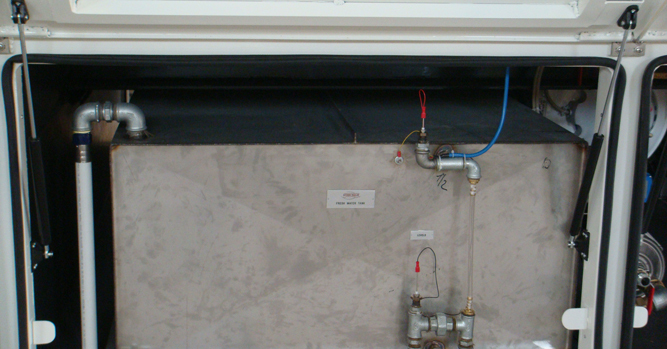 Panels bonded to steel box section superstructure frame with polyurethane adhesive and hidden fixing below the trims. Floors are flush-folding type with double folding mechanism. 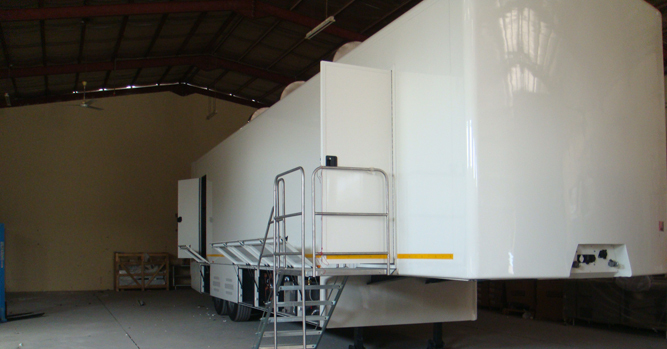 Self-supporting pod, manufactured from 60mm composite paneling, bonded to steel box section frame with horizontal sliders through main chassis members; and, external and internal rubber seal to prevent ingress. 415 Volt power-and-distribution system, tested and certified in adherence to UK Regulations as described in the Institute of Electrical Engineers (17th Edition). 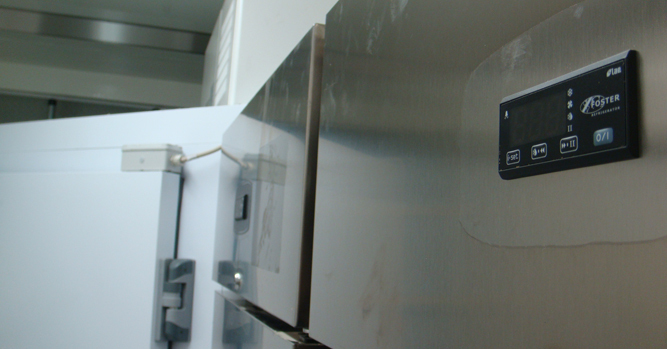 All circuits protected by RCCB/RCD Earth Leakage System and MCB breakers, unless not required by regulations. Minimally exposed cables and wire systems. 1 Daikin FXSQ8OP 9 kW ducted indoor-unit in centre and 2 Daikin FXSQ5OP 5.6 kW ducted indoor-units in front and rear with cooling facility. 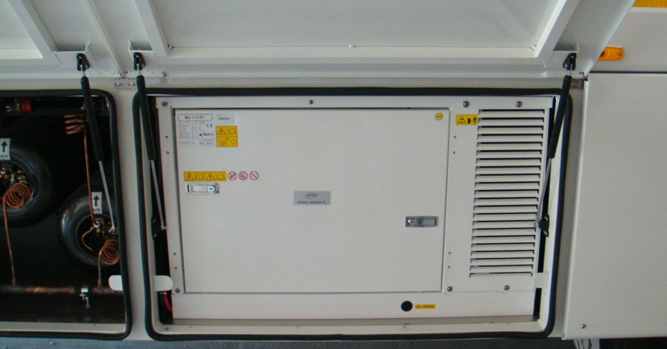 Outdoor unit is a RXYSQ 6PY 415 Volt double-fan condenser. 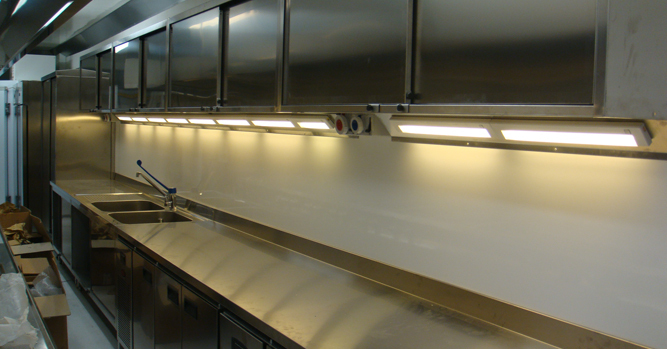 All ducted units are fed via ceiling grills and flexible ducting. 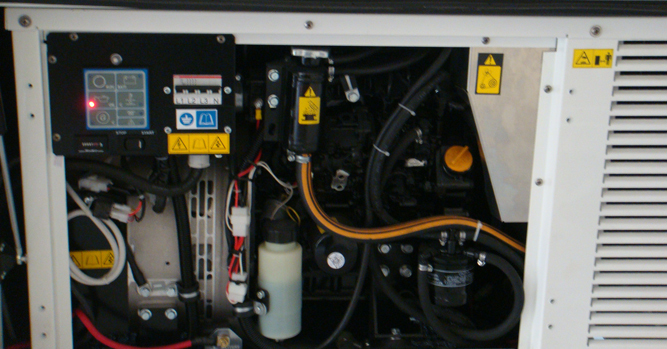 Diesel generator with alternator fitted on board and a 24 hr. diesel tank mounted below. 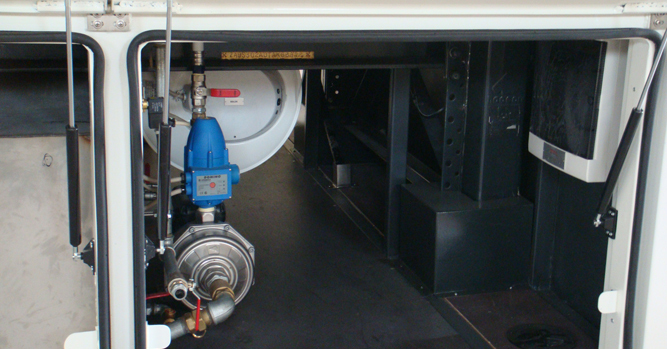 Generator is mounted on air anti-vibration mounts and restrained for motion when travelling. 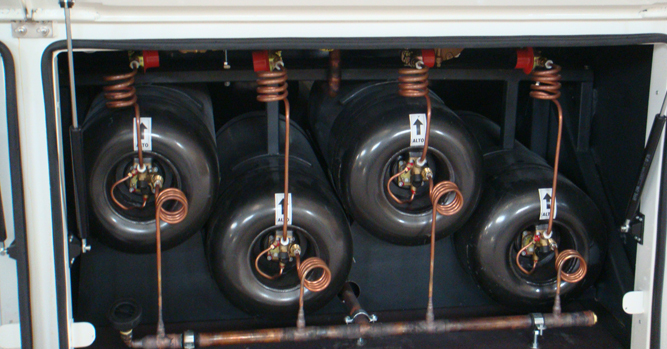 Super-silent exhaust mounted through roof and attached to generator using stainless steel baffles. 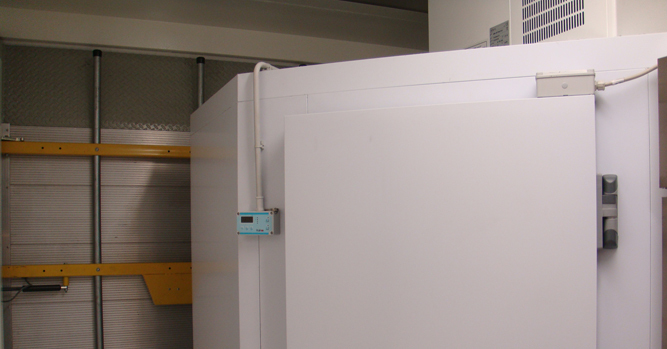 Noise level reduced to approximately 60dB @ 1 meter. 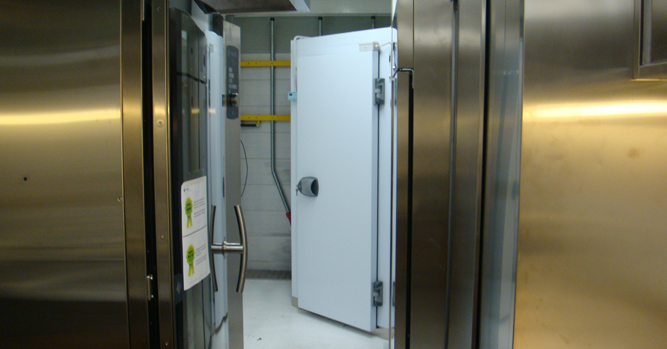 Insulated walk-in cold room with 100mm walls, floor and roof, and stainless steel shelving and 4-tier nylon coated racking on three sides with 3 to 4 degrees constant temperature. 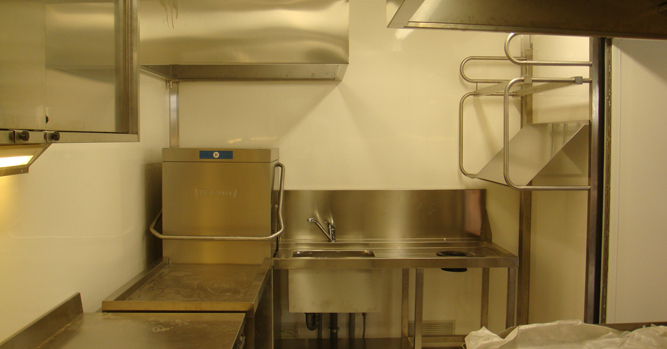 Hot and cold water system with 600 liter water and waste tanks, insulated pipe-work, pressure operated pump, 2 stainless steel sinks with mixer taps, and drainer. 4 sets of removable steps and handrails fixed to trailer. Pressed aluminum punched steps and polished stainless steel handrails, with adjustable screw legs and top platform for uneven ground. Windows in the exterior door to side, and sliding hatch in the rear for dirty dishes entry. Supply I x 30M 125 Amp 3-phase line with coupling for receiving power from external source and a 125 Amp outlet socket for emergency use. Fire extinguishers, transit mounts, reversing camera to trailer with color TFT monitor in cab.